Other than your first your first driving lesson, there’s nothing quite as a exciting and nerve wracking as taking your driving test. It’s easily the most adrenaline filled hour of the entire process and almost all learners get a little apprehensive just before the examination. During the test your examiner will ask you to perform a number of maneuvers and standard practices, while judging your overall standard of driving. The key to passing your driving test is to prepare beforehand and there’s no better preparation method than taking a mock driving test. Once your standard of driving reaches a point where your driving instructor feels you’re ready to take your test, he or she will have you undergo a mock driving test. A mock driving test is a practice run of the actual examination you’ll take on test day. Your instructor will start the lesson in exactly the same way an examiner would start the test, they’ll explain how the mock test works, what they’ll be assessing you on and what you’ll be required to do during the drive. Most mock tests take place in close proximity to your chosen test centre and the route you’ll drive during your mock test, will be one of the potential routes you could take on test day. It’s natural to feel nervous before your driving test, however it’s important to try and manage this feeling, as it’s often a pupil’s nerves, not their standard of driving the causes mistakes during the drive, which leads to failed tests. The aim of the mock test is to prepare you for your real driving test by having you drive exactly as you would if you were under test conditions. Once you have had a couple of mock driving tests, you should feel much more prepared and confident on the day of actual test. If you never taken a mock driving test, the start of the lesson can be quite daunting and as preparation is key in everything to do with driving, we’ve listed what you can expect from your mock driving test, to help you prepare for the day. The main objective of your mock driving test is to assess your overall driving ability under test conditions. Your instructor is looking to see whether you are a safe driver, who is in complete control of the vehicle, while observing your ability to follow instructions and drive to the standard that you have been taught. 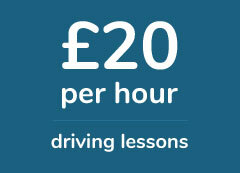 Anything that you could be asked to do on your driving test will be included in your mock driving test. Therefore you could be taken on a dual carriage way, through major roundabouts and on a variety of different roads and situations to see how you react and deal with changing environments. Your instructor will be checking to see with you follow best practice when stopping and pulling out, whether you follow guidelines when you reverse and how you cope with tricky situations such as changing lanes and hill starts. During every driving test the pupil is asked to perform a set of maneuvers that they would have been taught during their driving lessons. The standard list of maneuvers include turning in the road, reversing around a corner and reverse parking either into a bay or the side of the road. You may not be asked to perform all the maneuvers on test day, however you will be required to perform some, so during your mock test your instructor will ask you to perform each of the above, to ensure you’re comfortable with whatever is asked of you during your actual examination. A recent addition to the driving test is an independent driving assessment. In this section the pupil will be asked to either follow signs to a specific location or navigate to a location based on a diagram the examiner will show you. During your mock driving test your instructor will attempt to replicate this by setting a location and allowing you to reach it without their input. The independent driving sections last approximately 10 minutes on test day, however during the mock test many instructors let this section carry on for longer to ensure the student is completely comfortable driving without their assistance. Along with getting you used to what will be asked of you on test day, the other main objective of a mock driving test is to get feedback from your driving instructor on you ability to pass the test. After your mock test your instructor will tell you whether you ‘passed’ or ‘failed’ along with feedback on your standard of driving, the faults you made both major and minor and how to correct them going forward. Don’t feel too downhearted if you don’t perform well during your mock test, the whole objective of the lesson is to iron out the flaws before test day and it’s important to take on any feedback you receive at the end of the mock test, as doing so will get you closer to passing. What Should You Do If You Fail Your Mock Driving Test? The first thing you should do if you fail your mock driving test is not panic. It’s easy to feel discouraged if you’ve failed your mock test, however the purpose of the test is not to leave you in despair, but to get you used to driving as you would in a driving test. Mock driving tests are there to get you used to driving under exam conditions and essentially without the help of your instructor. Knowing what to expect from the actual driving test, reduces the fear and anxiety that many learner drivers feel on test day and only by practicing and taking mock test on a regular basis, will you improve your driving under these conditions and thus improve your chances of passing on the day. Mock driving test are the perfect preparation for the actual examination and the more mock test you’re able to complete, the better your chances of passing your actual driving test. Although they can be just as nerve wracking as the actual test, ensuring you prepare well for your mock and subsequently real test, will ensure you have the best chance of passing your real examination.